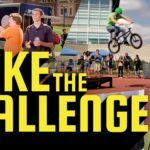 The U.S. Department of Homeland Security has placed a clever video, “Take the Challenge”, on its home page. It’s intended to test our powers of observation and awareness. What, you say, I’ll never been in a threatening situation? That’s the whole point, we can never assume never when it comes to security.